The warm breeze is blowing, the trees are turning green again, and our cars are covered with pollen. Spring has sprung! If you’re like most people, when springtime rolls around, you’re ready to give your house a good cleaning. Spring cleaning is one of those things that requires a little preparation and forethought. If you just jump into it with a plan, you’ll likely forget to do something you really wanted to do. 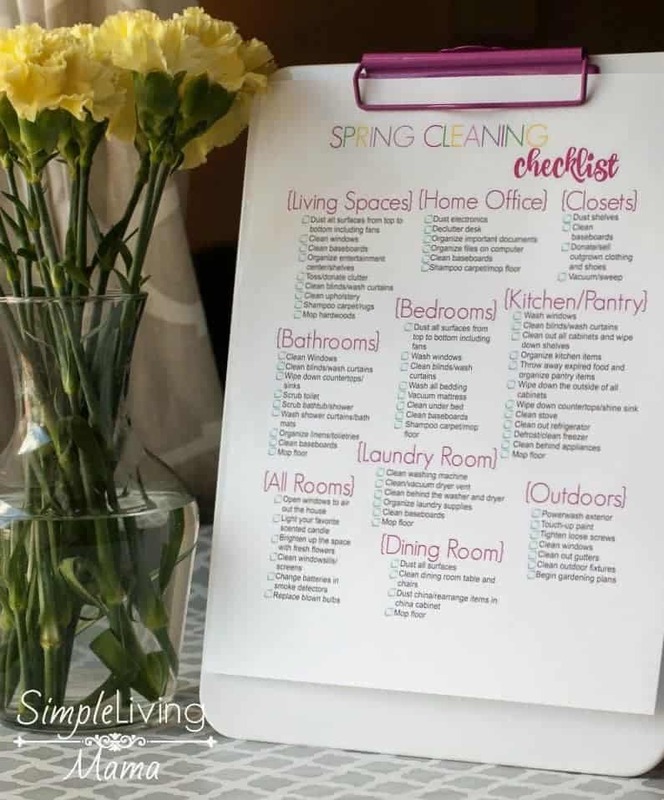 In order to keep me on track this year, I created a spring cleaning checklist that is included in an entire spring cleaning planner! This spring cleaning checklist is just like my original, but it’s been updated with bright, cheerful colors that match this handy planner. Here’s a look at the spring cleaning checklist included in the planner. I have made this list comprehensive. Every task I could think of is included here. As you can see, most every space of your home is also included. If you don’t know where to start, this checklist will give you some great ideas. 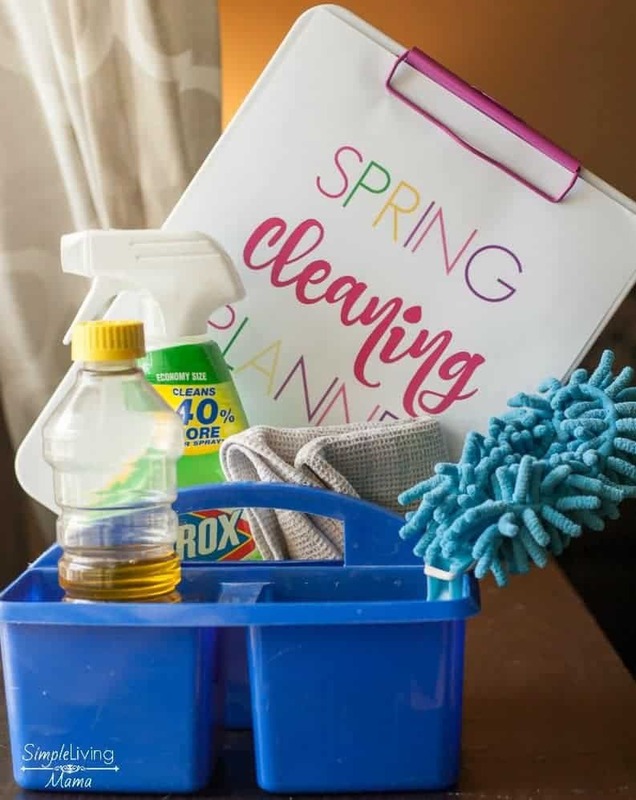 Before you begin actually spring cleaning, you need to create a plan. This planner includes a prep tips sheet that will guide you in creating your plan. 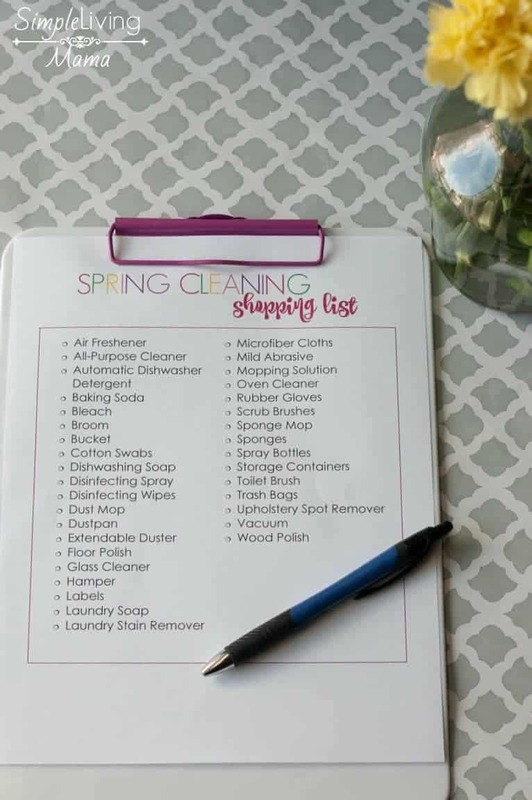 You will also find a full shopping list, as well as a supply list for your cleaning caddy. I am finally out of the first trimester of my sixth pregnancy and I feel much better! So, it’s now time for me to get my house back in order. I will follow my pre-filled checklist fairly closely. I go room-by-room. If you have been following my monthly cleaning calendars, you will find that your job will be a lot easier! If you haven’t, don’t worry. The deep cleaning may take you a little longer, but you can still get it done! A schedule will help keep you on task. This fillable 30 day schedule will allow you to map out which rooms you want to work on. You can even fill in which types of tasks you would also like to include. Another page in this planner is a blank checklist page. If the pre-filled checklist doesn’t work for you, use the blank one to map out your own tasks. Spring cleaning can feel like such a massive task, I know. But a good plan will get you started in the right direction. It’s up to you to keep up the momentum, though! Would you like your very own Spring Cleaning Planner? It’s now available in my shop! The great thing about this digital product? You can use it year after year! I hope you find it useful! 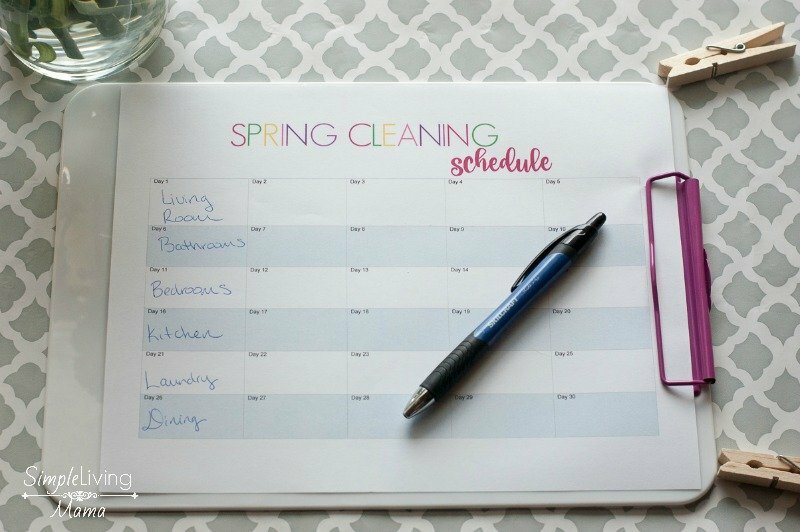 Get the Spring Cleaning Planner here!